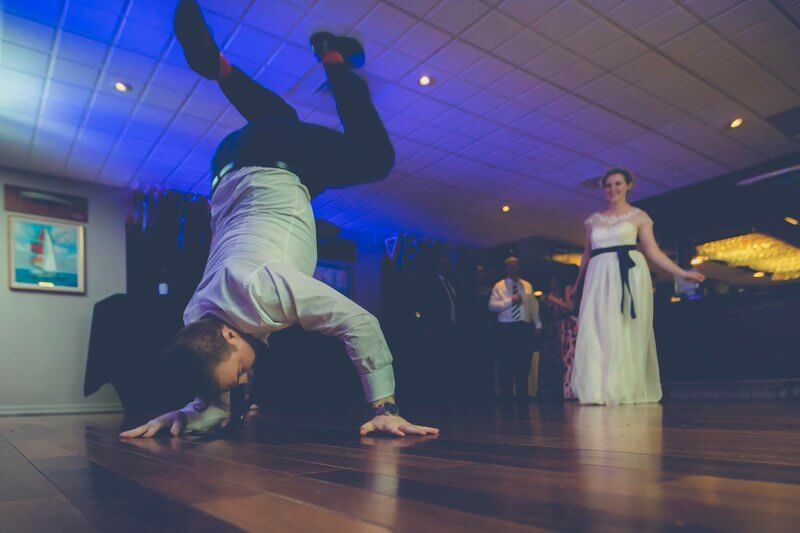 Whether you’re looking to re-experience your hip hop days in the 80s at your wedding or you want to surprise your kid’s birthday party with a live breakdancing demo, we have a solution for you! We also visit educational facilities and community centres for motivational speaking on a variety of topics including confidence building through performing arts, mentorship & entrepreneurship, and community development. Please let us know what you’re looking for by using the quote calculator below. Take a look at the video below. This footage captures just a fraction of the energy and vibe during a live bboy performance! 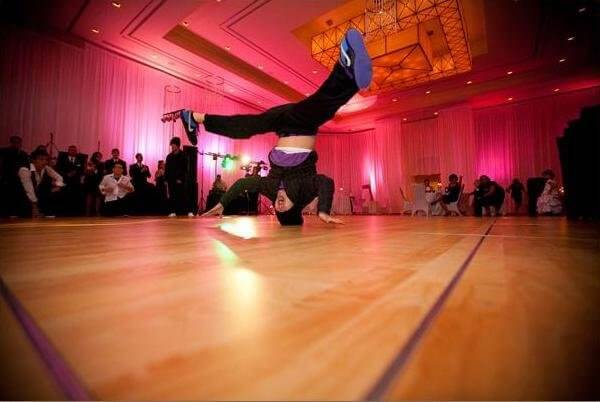 Hiring Ill at Will breakdance crew to do a dynamic performance will make your event memorable! We were looking for a high energy performance that would hype up the crowd… and did they ever do that! Thank you for coming out and doing a surprise performance at the Bridal Ball. The ladies really enjoyed the dancing and the upbeat music. The team was very punctual and professional for our event. Their performance was amazing! You guys were nothing less than spectacular!!! Make sure your guests are treated to the good time they deserve. Reserve your booking while dates are still available! Easily estimate the cost of a performance or workshop by using this online tool. This is a preliminary estimate to give a general idea of pricing. If the figures are a little outside of your price range, please send your gig request to us anyway and we'll see what we can do (especially if you're a non-profit)! The longer the show, the more dancers necessary to maintain a high quality and dynamic performance. First, choose the show length. Then click the # of dancers to change the price above/below. Please describe your desired type of show. Use as much detail as possible so that our gig coordinator can fulfill your request. Do you need a performance or an interactive workshop? Or both? You can choose the performance length in the next step. An interactive workshop, base rate includes 2 dancers for typically 90 min lesson. A performance followed by an interactive workshop. Is the event in London? Will your event take place in London, Ontario? It's OK if it isn't, we can travel! We dance to upbeat rap, funk, and top 40 songs. We tailor the music to the audience, so please select one of the following so we can make sure the music is appropriate. Please describe the demographics of the performance audience. This may affect music consideration. We gotta know where to go! Please enter the name of the venue (if applicable). If you don't know yet, please just enter the city. Wedding, corporate event, festival, bday party, etc. Your best guess is fine. How did you hear about Ill at Will? If you found us on Google, what search phrase did you type? Please double check to make sure it's correct!